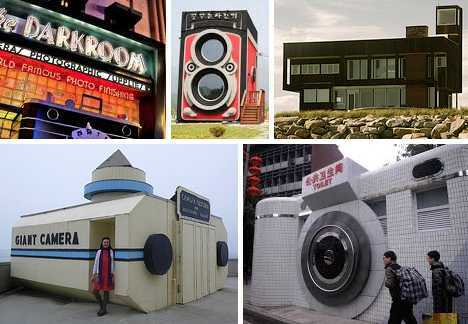 Yo dawg, these 9 camera-shaped buildings allow you to take selfies with your camera in front of buildings built to look like cameras. Now say “cheesy”! 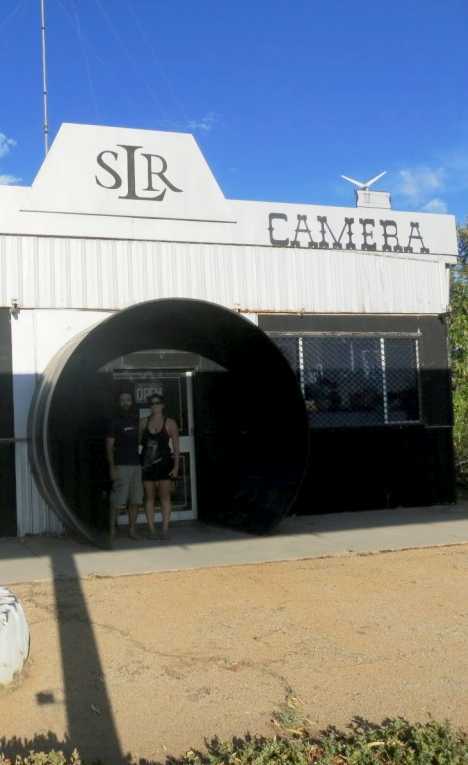 The Big Camera, located about 130km (80-odd miles) east of Perth in Meckering, claims to be “the only museum, totally dedicated to photography, open to the public anywhere in Western Australia.” Well, mostly open. A note to trivia fans: Meckering’s original name was Beebering, and Baby are we glad they changed it! In addition to displaying unique items of photographic memorabilia dating back to before the invention of photography itself, The Big Camera exhibits information relating to the 6.9 magnitude Meckering Earthquake of 1968 that destroyed most of the town’s buildings. We’re not sure if The Big Camera itself was built before the terrible tembor but if so, it must be shockproof. Step 1: Design your camera store in Marion, North Carolina to look like a big ‘ol camera. Step 2: Spend too much money on construction and end up selling your nifty camera-shaped store before it even opens. Step 3: Profit? Well, two out of three ain’t bad. Hopefully the “Picture Perfect Nail Salon”, which moved into the nearly completed building just after the images above were taken, is looking after Step 3 by raking in dough hand over fist. 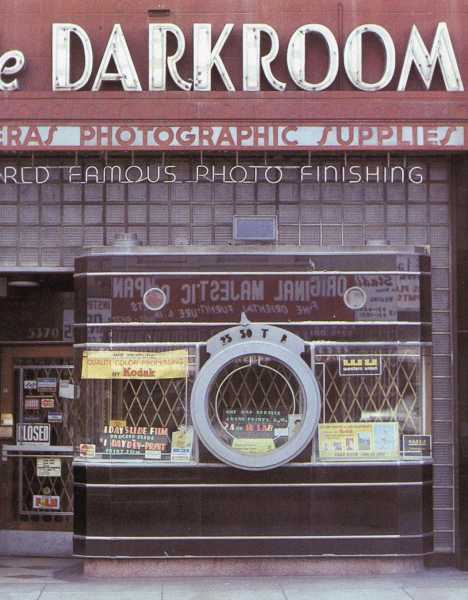 The Darkroom, located at 5370 Wilshire Boulevard on Los Angeles, California’s Miracle Mile, opened in the mid-to-late 1930s. The store featured a nine foot tall black glass facade and window that aped the look of a period Argus 35mm camera. After the store shut (or shuttered) its doors for good, the location re-opened as a Mexican restaurant whose cosmetic exterior refinements couldn’t hide The Darkroom’s original humungous camera lens. Fans of programmatic architecture shouldn’t shed too many tears, however. The Disney company has perpetuated The Darkroom’s unique look by incorporating extensive elements of the design into its wholly-owned camera & photography supply stores located in Disney theme parks around the world. Ever wonder what would happen if you turned a camera-shaped building inside out? Us neither but Chilean artist Diego Castillo Roa has done the next best thing: turned a circular window into a jumbo camera lens that, in the words of the Boomtown Rats, is “always looking atcha ah-ah-ah-ah!” Roa’s purely decorative concept saves tons’o’bucks by not requiring your home to actually look like a camera, though at least one big round window is one firm requirement. Not being perturbed by living in a fishbowl is another.